I love photographing the Mummy Range during the shorter days of winter. 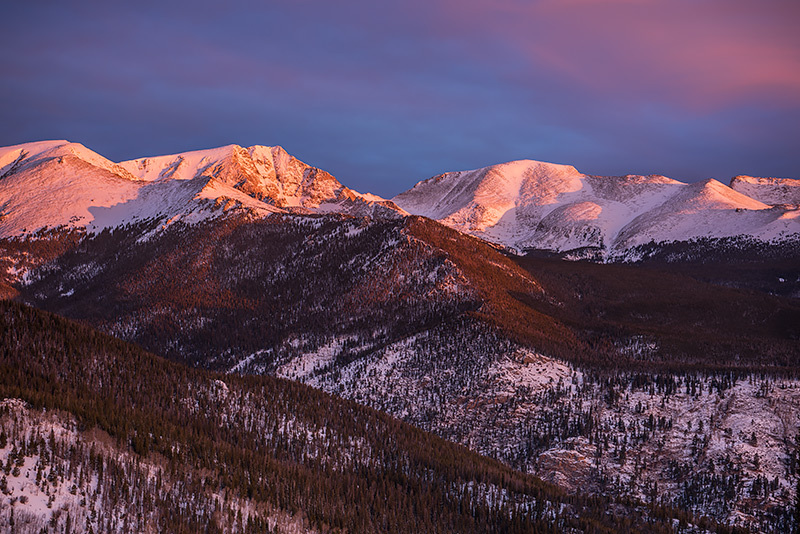 The Mummy Range faces south and east and therefore received some of the most beautiful light in all of Rocky Mountain National Park during the morning hours. This particular January morning, even with the sky filled with clouds, the sun managed to color My Ypsilon and the rest of the Mummy Range with beautiful light and color. Photo © copyright by Thomas Mangan.